For further information visit the page for Levee Conservation District at http://www.tlcd.org. 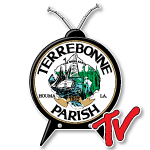 The latest meeting held by the Terrebonne Levee & Conservation District's Board of Commissioners. Meetings are held on the first and third Wednesdays of each month.